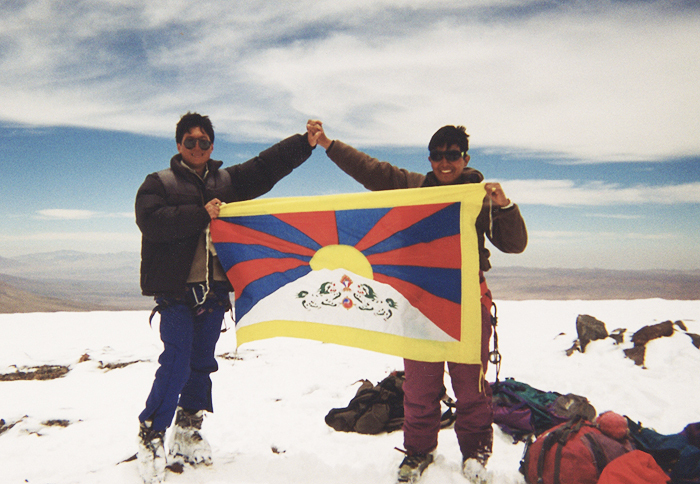 A Tibetan and Chinese stood together in unity on the first day of the new millenium, at the summit of Aucanquilcha, in the Andes at 6,176 metres high, the point on Earth nearest the sun. They were making a symbolic gesture, as a way of moving forward in solidarity, for humanity. During the climb, along with burying the peace vase, they released over 2000 peace messages written on biodegradable rice paper, that had been gathered from people around the world. 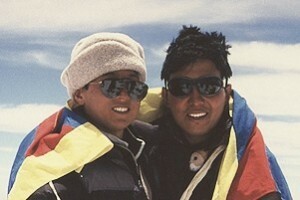 “In the darkness of 3 am, the prayer flags which marked the gateway to the higher mountain were barely visible. I could just hear the flutterings of the yellow one that we had soaked in the sacred waters of Lake Titicaca and which stated ‘May all beings be happy…’. The enveloping ice cold blackness gripped our tents at 5,300 metros base camp in the same way the intense focus of the climb ahead blocked out any surrounding thoughts through the short restless attempt at sleep. Our team was ready. 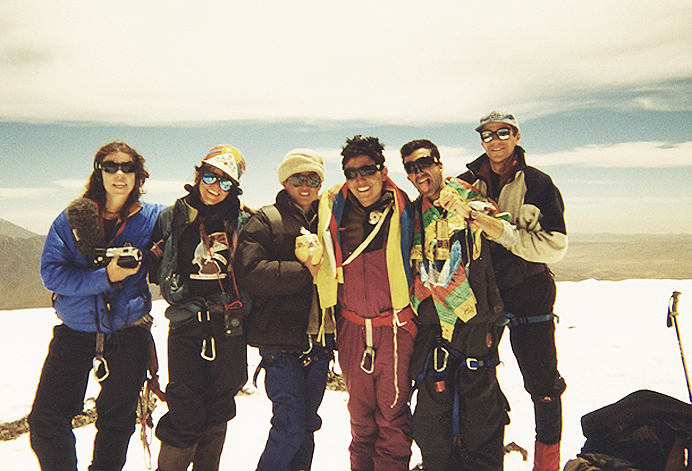 We hoped that the weeks of hard work training and acclimatizing through Bolivia would outweigh the group’s lack of mountaineering experience.